Roche produced 5 mg Valium tablets have been recalled after evidence of package tampering was discovered. 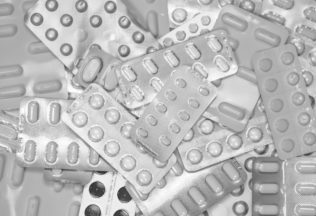 The Therapeutic Goods Administration (TGA) issued the recall alert after blister sheets that were meant to contain Valium were found with other medications inside. The other medications found included BTC Paracetamol Codeine tablets, BTC Rosuvastatin 10 mg tablets, and Apotex-Pantoprazole 40 mg and 20 mg tablets. The TGA is now warning those who take Valium 5 mg tablets in 50 tablet blister packs not to take them and return them to the point of purchase, or another pharmacy if that is not possible. The TGA said in most cases, a generic version of the medication can be taken in place of the branded Valium product. Valium contains diazepam which is used to treat anxiety disorders, alcohol withdrawal symptoms and muscle spasms. Roche Products Managing Director, Svend Peterson, told the ABC that Roche was unsure when the tampering started but that it occurred very recently at the company’s distribution centre and that it was on a small scale. He said the company was taking every measure possible to ensure product safety.